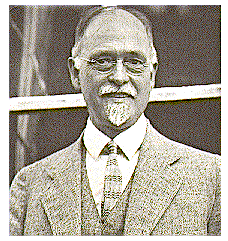 Irving Fisher was an American economist. Professor of Political Economy at Yale University from 1898 to 1935. Fisher’s most important work in economics was The Making of Index Number, published in 1922, in which he developed the theory of index numbers and established conditions that an index should satisfy. Fisher also introduced the famous ‘quantity of money’ equation. His other important economic writings were Mathmetical Investigations in the Theory of Value and Prices (1892) Nature of Capital and Income (1906). Rate of Interest(1907). Purchasing Power of Money (1911) and Theory of Interest (1930).